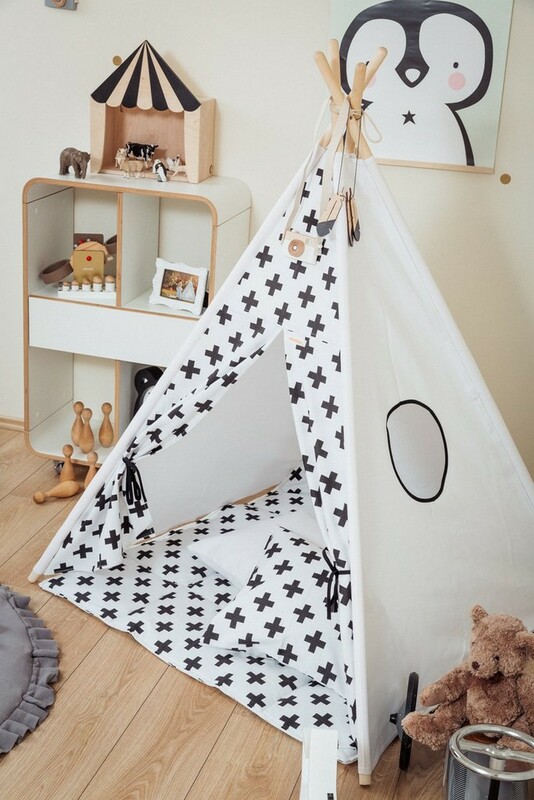 A perfect hideaway for tiny people, the Monochrome Cross Children’s Teepee Set takes you to the wonderland of fun, joy, and happiness. This decorative kids’ play tent promotes imaginative play for your child and sets the perfect environment for your little one to create his own fantasy world. 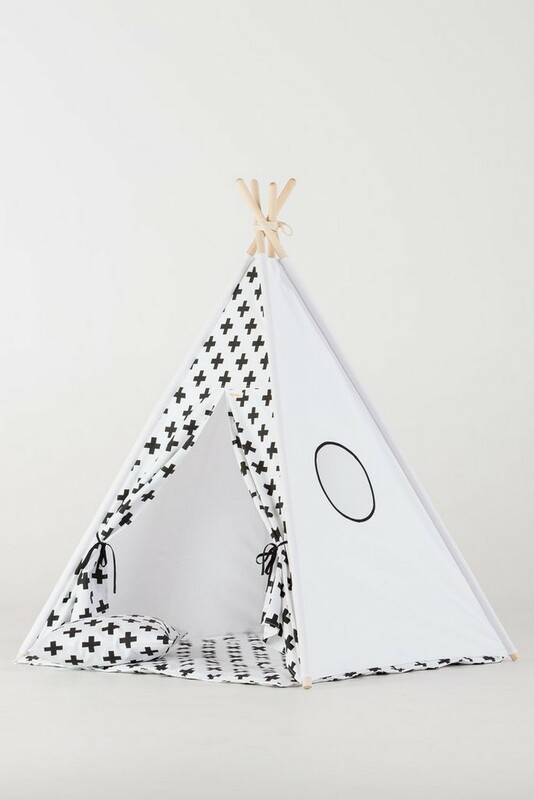 This children’s teepee tent is a stylish addition to any home whether in the corner of your child’s bedroom, living room or playroom. It can also be taken outside when the sun is shining! This teepee will be a huge hit as a Christmas or birthday present. Completely handmade, this children teepee would make the perfect gift for your little ones, providing their very own space where they can play or read and have lots of fun. With a colorful and playful pattern, it will fit in both boys and girls nurseries. 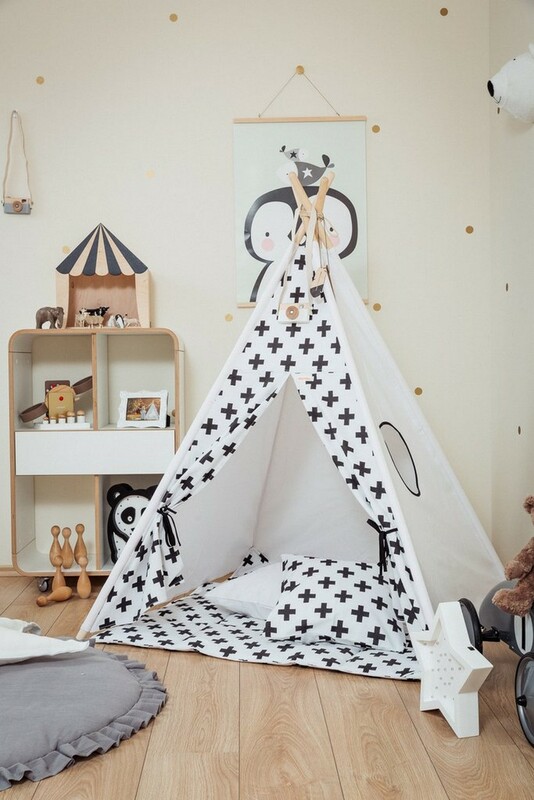 Easy to assemble, each teepee comes with poles, padded playmat, cushion covers and a fabric cover which can be all neatly stored away in its own canvas zip up bag. It perfect for indoor use providing hours of endless play. 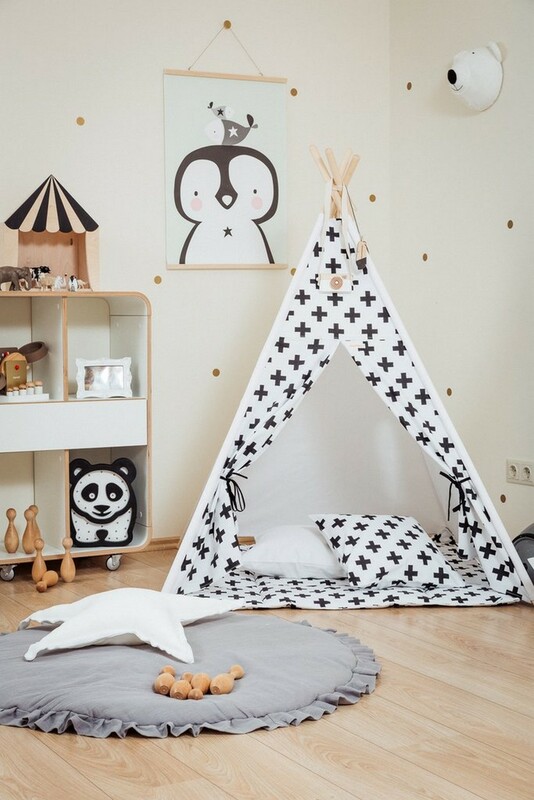 Perfect to add a whimsical touch to any room, this children’s teepee features a sturdy wood frame and is made of 100% Oeko-Tex cotton certified fabric which means that is completely safe to the youngest adventurers. It makes a wonderful sleepover tent. Care Instructions: Keep fabric clean by brushing dry fabric regularly with a soft brush/broom. 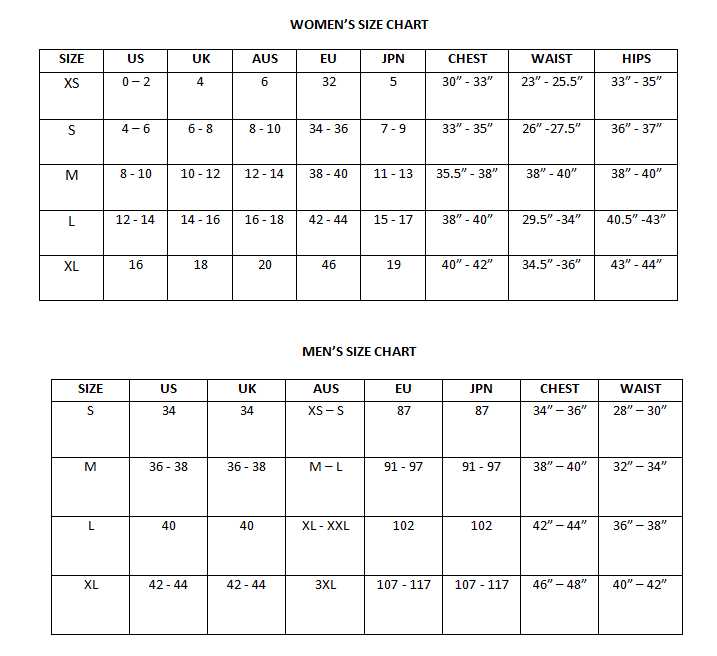 Hose occasionally with cold water, but do not combine the actions of brushing and hosing as this may abrade coating and impart a scuffed appearance to the fabric once dry.